Each month get exclusive ruler kits and tutorials delivered straight to Fun with Stitches!! The HQ Ruler of the Month Club is a great opportunity to challenge your quilting skills and build ruler work confidence. Each month in the six-month series features a debut acrylic ruler paired with mentor ship from The Quilt Store, step-by-step video tutorial, and design ideas. Get exclusive Ruler Kits and tutorials each month! 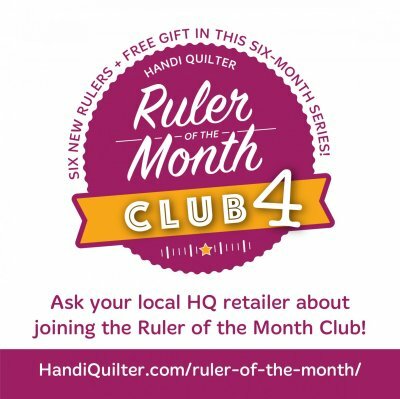 HandiQuilter will be introducing a new ruler each month for 6 months. These rulers will be available Exclusively to members of the Ruler of the Month Club. 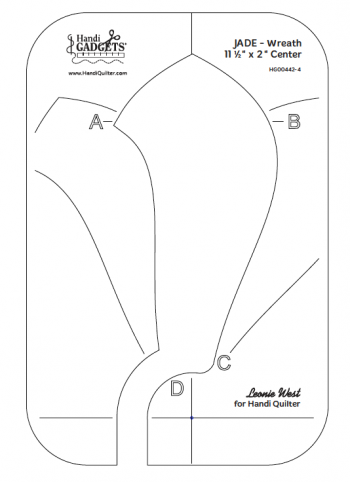 Get involved at your local shop, learn along with other quilters. Six-month series builds confidence and rulerwork skills. 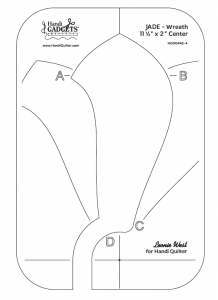 Whether you have a Handi Quilter longarm or a domestic machine, this program is great for any quilter wanting to improve their rulerwork skills. 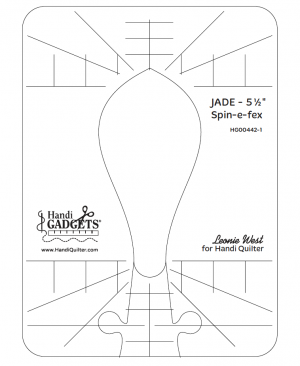 Sign up for the Club now to make sure you don't miss out on the first month (JADE 5 1/2" Spin-e-fex Ruler). If you decide to join the Club part way through, we will welcome you to the Club and you will receive rulers for upcoming months. Rulers from previous months may be purchased based on availability. Each month, there will be a video tutorial to provide tips on how to use the Ruler of the Month along with a flyer including design ideas to get you started. JADE - The shape of the Jade Template Range comes from the leaves of the Jade plant. All Templates in the Jade Series work well together and compliment each other.